It is important to remember that biochemical theory does not equal clinical benefit. Improvements in disease-oriented outcomes, such as free-radical activity, are no substitute for patient-oriented outcomes, such as all-cause mortality. Sometimes our enthusiasm for unproven treatments may harm our patients. Physicians and patients, it turns out, were already turning to testing and treatment with another vitamin that was a marker of chronic health conditions in observational studies: vitamin D. Between 2000 and 2010, the volume of serum 25-hydroxyvitamin D levels in Medicare patients increased 83-fold, and by 2014, 4 out of 10 adults 70 years or older reported taking a daily vitamin D supplement of at least 1,000 IU, and nearly 7 percent of adults over 60 were taking more than 4,000 IUs daily, a level that the National Academy of Medicine considers to be potentially toxic. Unfortunately, the vitamin D saga has much in common with the vitamin E saga. 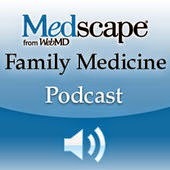 According to a review article in the February 15th issue of American Family Physician by Drs. Michael LeFevre and Nicholas LeFevre, vitamin D supplementation in community-dwelling adults has not demonstrated any benefits for ischemic heart disease, cerebrovascular disease, or cancer in clinical trials. The U.S. Preventive Services Task Force and the American Academy of Family Physicians concluded that there is inadequate evidence that supplements improve psychosocial or physical functioning in persons with lower vitamin D levels. It is time for clinicians and patients to curb our enthusiasm for vitamin D screening and supplementation. Strategies to decrease unnecessary testing could include distributing the patient handout on vitamin D tests created by Consumer Reports for the Choosing Wisely campaign and implementing clinical decision support for ordering laboratory tests. 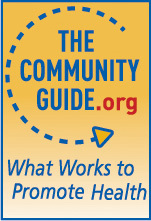 ... Family physicians should also counsel patients on the recommended dietary allowance for vitamin D (600 IU per day in adults 70 years and younger, and 800 IU per day in adults older than 70 years), and discourage most patients from using supplements, especially in dosages near or above the tolerable upper limit of 4,000 IU per day. From 2009 to 2012, I directed the graduate course "Fundamentals of Clinical Preventive Medicine" at Johns Hopkins University's Bloomberg School of Public Health. It was a required course for Hopkins preventive medicine residents, and also usually attracted other Master's level public health students and undergraduates with a strong interest in medicine. The class size was 15 to 25 students. In that setting, with a small group who generally believed that the material was important, if my teaching was inspired and the presentation compelling, I could reasonably hope for positive feedback from nearly every student. 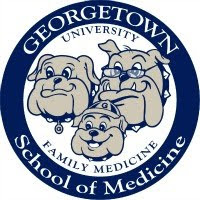 In every academic year since (after returning to the family medicine faculty at Georgetown), my primary teaching responsibility has been co-directing a mandatory course in population health, health policy and advocacy for about 200 first-year medical students. I am proud that student ratings for the course overall and the course directors in particular have improved every year, though I suspect that at least some of this improvement is the result of more students being already aware of the health impacts of national, state, and local policy decisions, even those that ostensibly have nothing to do with medical practice. A case in point is the U.S. Department of Agriculture's recent proposal to save money by replacing food stamps with food boxes containing nonperishable food items for poor families that qualify for financial assistance. Historically, Native American tribes who were forced to live on reservations, cut off from natural water and food sources, were supplied with boxes of dry and canned foods high in sodium and calories and low in nutritional value. The result was a catastrophic rise in obesity, hypertension and type 2 diabetes in this population. The USDA eventually modified the program to incorporate fresh produce, which begs the question of why anyone should take seriously this new proposal whose end result would be making the national obesity epidemic many times worse than it already is. But back to my course. Every year, a few students complain in their evaluations that what we teach just isn't relevant to their future careers, or more commonly, that the content is "too political." This is a tough criticism for me to stomach, as we go to great lengths to present a broad spectrum of perspectives on health and the health care - what the "system" does well and where it fails by every conceivable standard. To me, that U.S. life expectancy has declined for two years in row means that business as usual just isn't cutting it. Yes, solutions to these problems invariably involve advocacy and political choices. And it's perfectly fine for my students to debate the relative contributions of various determinants of health, and in particular rising economic inequality, in this unfolding disaster. It is not okay for a student to turn a blind eye to health policy and think that everything will turn out fine as long as he or she is accepted into a residency program in a reliably high-paying subspecialty of choice. A class on health policy cannot replace classes on pathology or pharmacology, nor should it. But without making policy and public health a major component of medical education instead of a side interest to be pursued on students’ own time, medical schools will continue to churn out exceptionally talented physicians who are exceptionally ill-prepared to deal with the medical bureaucracy and byzantine health care policies that hit them the moment they begin to care for patients. Healers cannot deny that leaving refugees at our gates unwanted, or children unfed, or families unhoused, or basic medical care uncovered, or relying on conflict, rather than compassion, are health problems. ... The work of a physician as healer cannot stop at the door of an office, the threshold of an operating room, or the front gate of a hospital. The rescue of a society and the restoration of a political ethos that remembers to heal have become the physician's jobs, too. Professional silence in the face of social injustice is wrong. These quotes from Kidwai and Berwick explain why I continue to be energized year after year to teach students who are at times excited, and at times indifferent to health policy and advocacy. I know that most didn't come to medical school to learn about politics or public health. But it's my job to make sure that my students don't graduate ill-prepared or professionally silent in the face of human suffering. The February 1 issue of AFP marked the first time since 1988 that a family physician other than Dr. Jay Siwek was serving as the journal's editor-in-chief. Dr. Siwek, who bade farewell to readers in a poignant, memory-filled editorial in the January 15 issue, will stay on as editor emeritus. This month, Dr. Siwek introduced his successor, longtime associate editor Dr. Sumi Makkar Sexton. You can read about Dr. Sexton's extensive qualifications and experience in Dr. Siwek's latest piece, and learn about her plans for the future of AFP, which include making journal content more usable at the point of care, in her introductory editorial. It has been my good fortune to know Jay and Sumi for the past 14 years, since I arrived at Georgetown University School of Medicine as AFP's medical editing fellow in the summer of 2004. Both played critical roles in my development as a family physician and medical editor, during and after my one-year fellowship. It was Jay, in his previous capacity as Chair of Georgetown's Department of Family Medicine, who hired me as a junior faculty member and supported each of my subsequent promotions to assistant, associate, and full professor. After I left the department for several years to work as a medical officer at the Agency for Healthcare Research and Quality and earn a master's degree in public health, it was Jay who convinced me to return and deploy my new skills to direct the department's health policy fellowship and eventually take on other leadership and teaching positions in population health. On the other hand, it was Sumi, as the editor of Tips from Other Journals (an AFP department that ended in 2013) who continued to hone my writing and evidence-based medicine skills for years after my fellowship ended. Under her supervision, from 2005 to 2010 I wrote more than 60 summaries of primary care-relevant research studies for AFP. And after my first post-fellowship clinical position unexpectedly fell through, it was Sumi who hired me to see patients at her thriving practice, Premier Primary Care Physicians, which was an early adopter of innovations such as electronic medical records and advanced-access scheduling. As AFP's new deputy editor, I have worked closely with Sumi and Jay for the past several months to support their changing of the guard at editor-in-chief, and I look forward to many more years of collaborating with them both. Moving on from Dr. Siwek to Dr. Sexton is an important transition, but the best-read journal in primary care won't miss a beat.